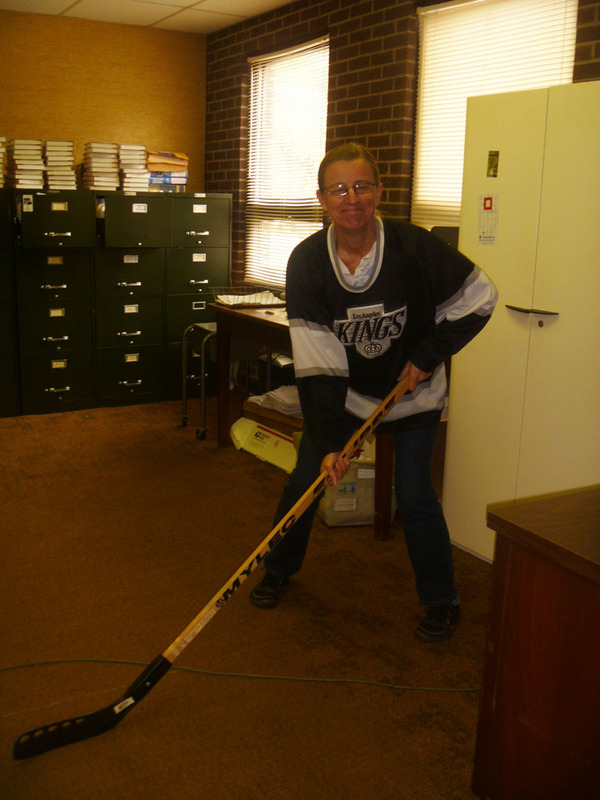 Today we feature a blog post written by Randall Williams, publisher of NewSouth Books in Montgomery, AL, in remembrance of John Egerton. 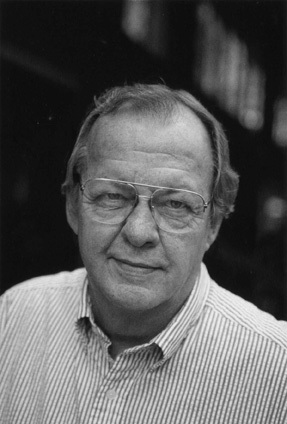 The South (and the nation, too, though he was a true Southerner in the best sense) was diminished today with the sudden death by heart attack of Nashville-based writer John Egerton. We at NewSouth were privileged to know John and work with him for several decades, first through the Southern Regional Council and later as the publisher of two insightful collections of essays (Where We Stand, 2004, and American Crisis, Southern Solutions, 2008) to which he contributed and his wickedly satiric comic-novel takedown of George W. Bush (Ali Dubya and the Forty Thieves, 2006). Those were only three of his many books about the South, not to mention the thousands of articles and reports he produced about the region over a long career of fearless and inspired writing about civil rights, education, politics, the courts, and history and culture. In his later career, he became especially known as a writer on food and was a primary inspiration for the group of Southern cooks, writers, and filmmakers who coalesced around the Southern Foodways organization. Anyone who wants to know about the struggles for school desegregation and racial justice in the South in the 1960s and 1970s will come across at least one of the many essays, articles and reports that John Egerton authored. He was never a reporter for any of the major national newspapers but was perhaps the last full time, freelance journalist who covered the civil rights movement of that era. He wrote reports and essays for the Southern Education Foundation and the Southern Regional Council, as well as articles in national magazines, that brought statistical patterns and data to life and exposed the mendacity, insanity, and cruelty of Southern segregation and racism. He was a lone voice among the white writers who lived, traveled, and worked in the South without the institutional support and protection of a national magazine or newspaper. 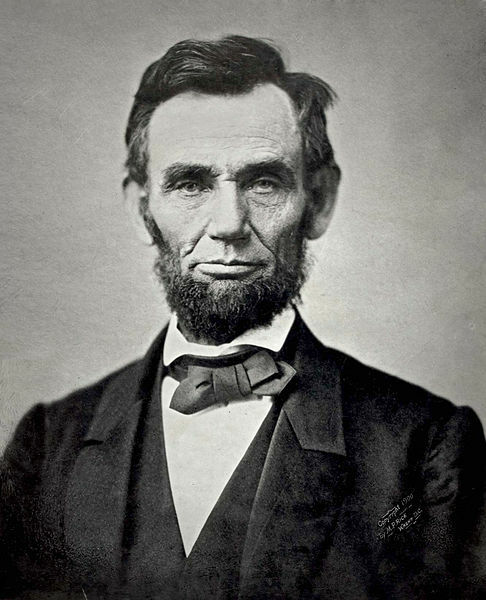 But John always appreciated that white Southerners had within them the capacity to change themselves and the region for the better. As was said of the freelance Southern writer Lillian Smith in her era, John Egerton in his era loved the South so much he wanted to make it better. Egerton was also remembered by Garden & Gun for his role as co-founder of the Southern Foodways Alliance. Listen to Egerton discuss his work is the audio file below. Blair’s office manager Artie Sparrow remembers one of his favorite moments in ACC basketball history. 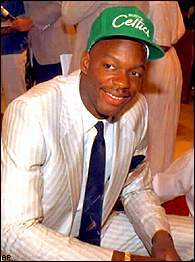 Len Bias was born 50 years ago today. One of the great sports tragedies of our time is that he didn’t live to see his 23rd birthday. Today, I’m thinking back to one of the most important nights in his too-brief career. I attended UNC in the mid-1980s. 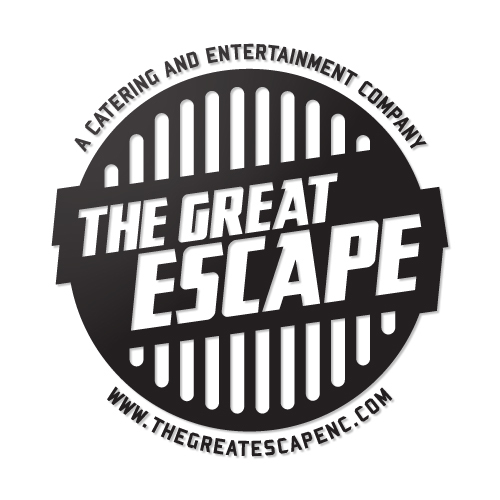 Although I had a great time there, I have a few regrets: being too shy to ask Laurie Dhue for a date, missing concerts by the Talking Heads and Stevie Ray Vaughan, leaving Cat’s Cradle about 20 minutes before Michael Stipe sang a few songs with a local band. Close to the top of my list is the night I didn’t bother walking across the parking lot to see one of the greatest performances in ACC basketball history: the game Len Bias almost single-handedly wrecked the Tar Heels’ perfect record in the Dean Dome. I don’t remember why I didn’t go to that game in February of my freshman year. I suspect it had to do with how students got tickets back then. We had to camp out and then get tickets in a random section, usually in the upper deck. I could enjoy a better view watching games on TV and spare myself having to sleep outside on cold winter nights. Also, the 1986 Tar Heel team wasn’t particularly entertaining. It won a lot but was rather predictable about it. I watched the game on TV with my suitemates. Carolina was cruising to another win when Len Bias changed the script. He kept Maryland in the game until overtime, and then it happened: a steal, a reverse dunk, a block. He basically imposed his will on the game and refused to let Maryland lose. It was the sort of thing Michael Jordan was famous for—which was why his poster was in half the dorm rooms on campus at the time. Twenty-seven years later, fans still remember Bias’s performance—even fans who can’t remember what they did last week. 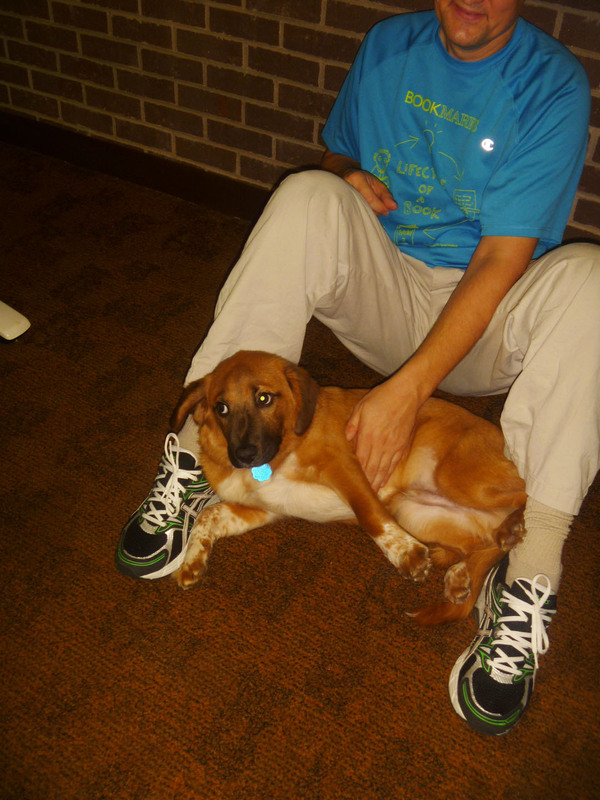 After the game, we were stunned. Bias had instantly gone from being a really good player to, well, the best basketball player on the planet at that moment. I really enjoyed reading about Bias and all the other ACC greats and learning tidbits about what they were like off the court, but I don’t rank players based on their cumulative achievements. I guess that’s my one quibble with Dan Collins’s highly entertaining ACC Basketball Book of Fame. To me, the beauty of basketball is its moments of greatness. Bias had the most memorable moment of all the basketball I’ve watched over the years, even if it came at the expense of my school. Have your own opinions about ACC’s best players or the way Dan Collins’ ranks them in his Basketball Book of Fame? Collins wants to hear about it! Let the discussion begin. 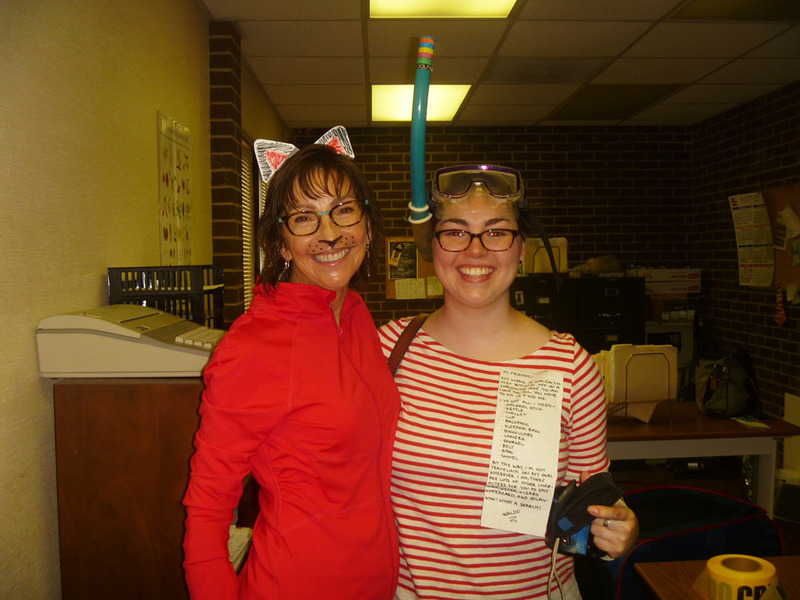 Blair staffers had a blast celebrating Halloween last week. 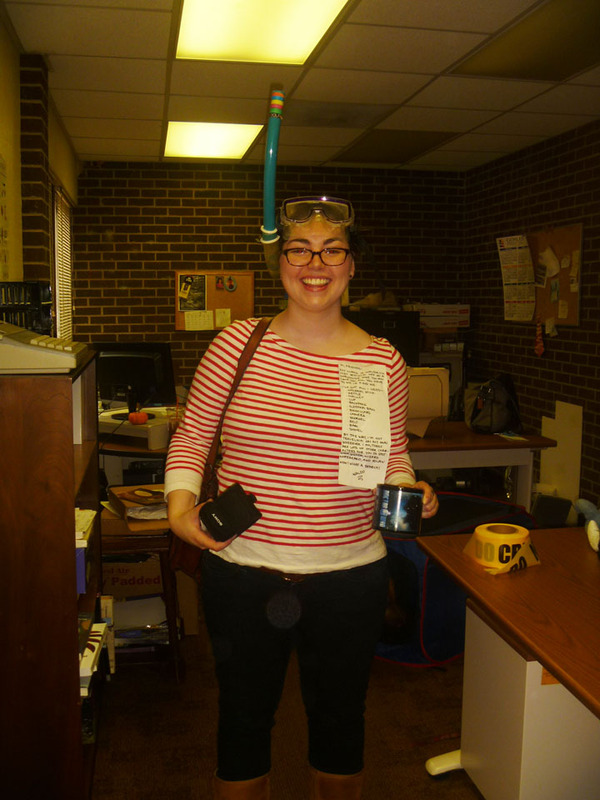 Check out the pictures of our awesome costumes below. 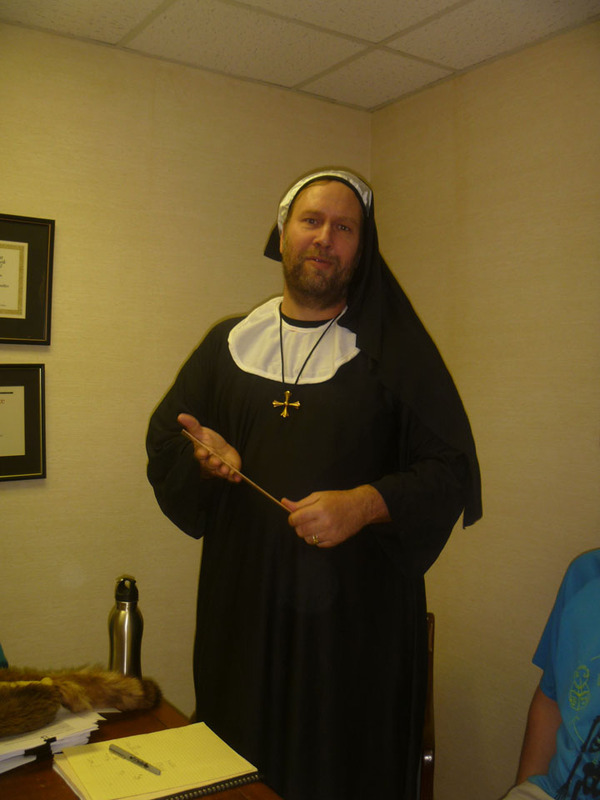 Sister Artie is ready to law down the law. 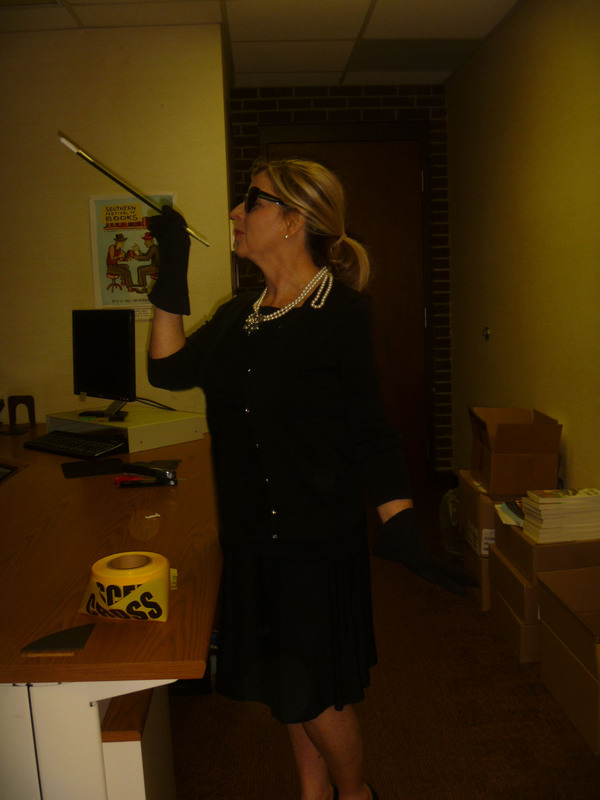 Debbie classes up the joint as Holly Golightly. 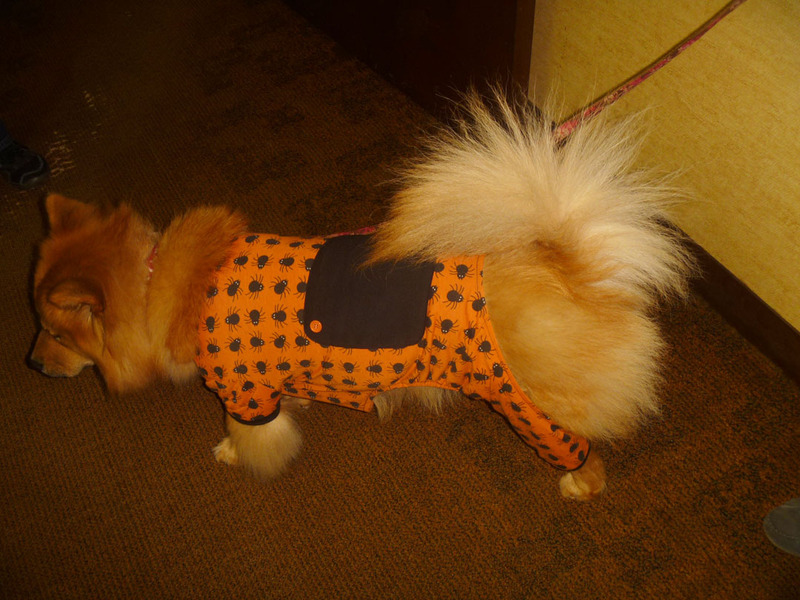 Oatmeal shows off her Halloween romper. Margaret is ready to hit the ice. 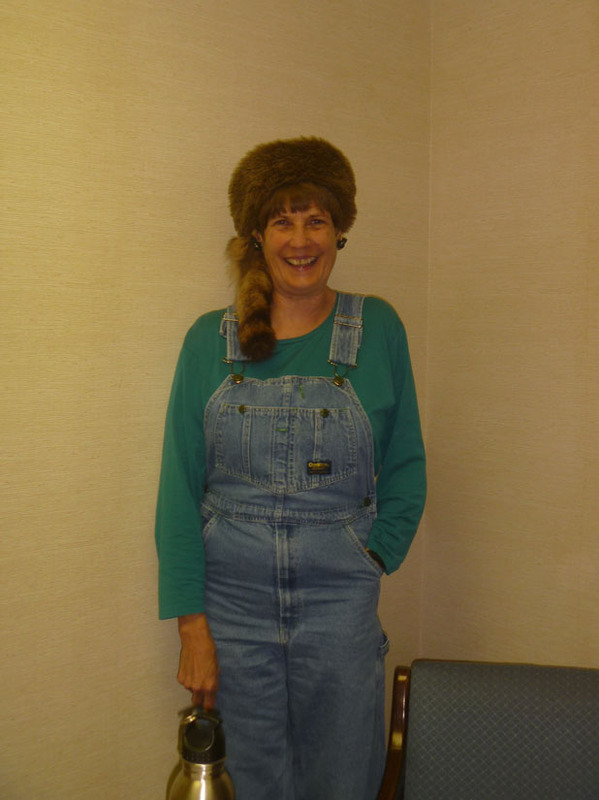 Carolyn honors Blair’s passion for mountain life. Don’t worry, Blair wasn’t burglarized. 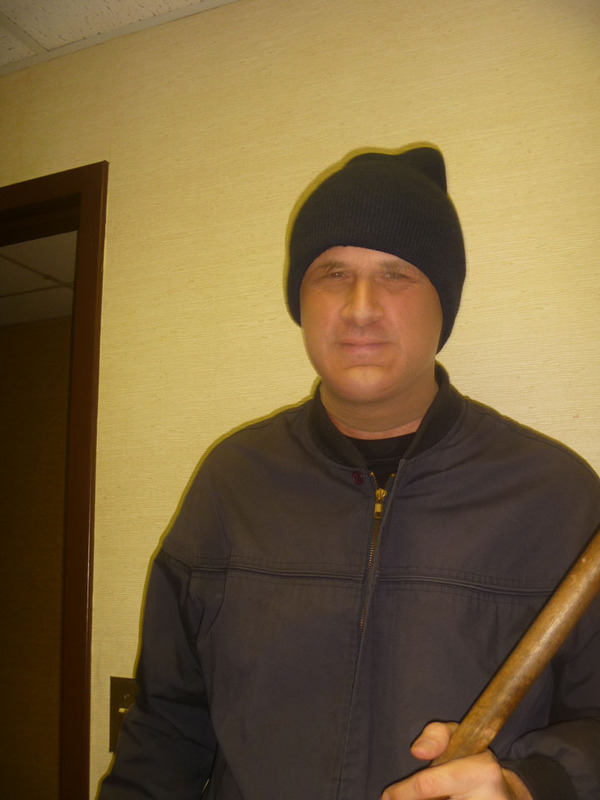 But Steve’s scary getup did give us quite a fright. 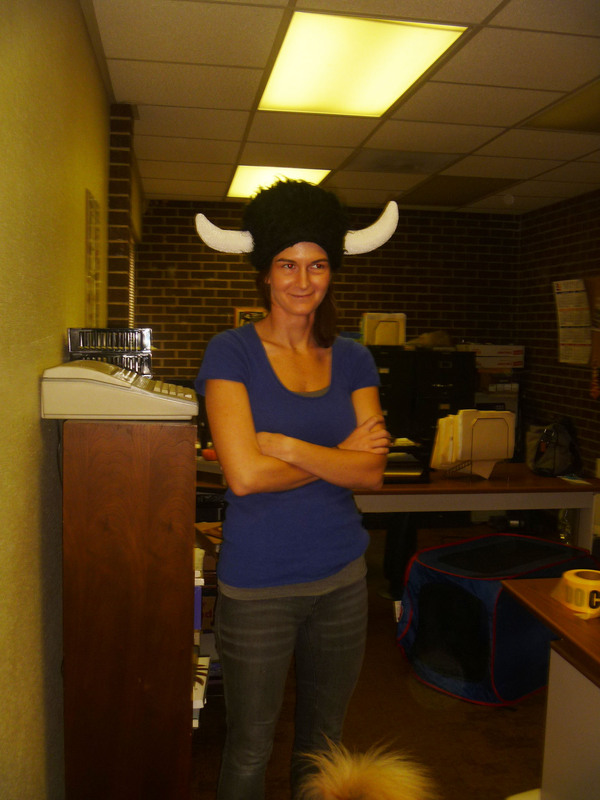 I’ll admit it, my attempt is pretty lame, but the hat IS awesome. Watson and Heath take in the interesting outfits. We hope you all had an amazing Halloween! The new film 12 Years a Slave is based on the autobiography of Solomon Northrup about his time as a slave in Louisiana from 1841 to 1853. 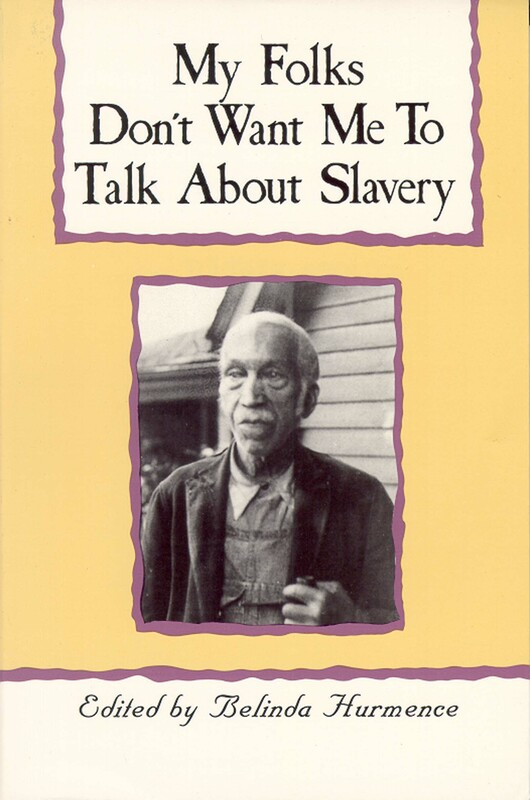 During the interview McQueen noted that he “was really upset with [himself] that [he] did not know about this book.” The story of Solomon Northrup is remarkable for the particulars of the man’s experiences as a free man tricked into being enslaved who then finds his way back to freedom. 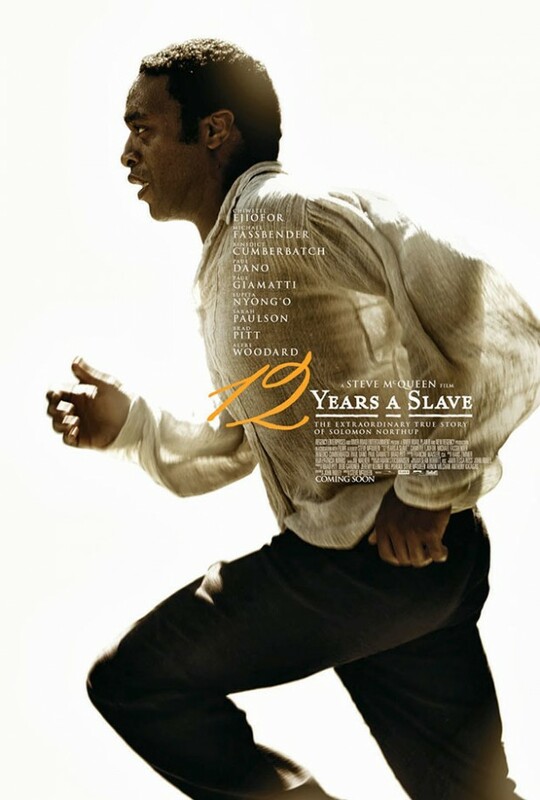 12 Years a Slave, however, is not the only opportunity that we have to hear about the peculiar institution from slaves themselves. During the Depression, President Franklin Roosevelt employed jobless writers and researchers to capture thousands of voices of former slaves spread throughout the United States. The Works Progress Administration (WPA) eventually collected more than two thousand narratives from seventeen states, cataloging them in the Library of Congress as Slave Narratives: A Folk History of Slavery in the U.S. from Interviews with Former Slaves. Though the WPA performed a major service by collecting these narratives, the stories languished in the Library of Congress for several decades until the 1970s when George Rawick put the narratives into a form that was more accessible to the public, entitled The American Slave: A Composite Biography. Belinda Hurmence was among the first to realize that many readers were still intimidated by the multivolume sets of slave narratives made available by Rawick. 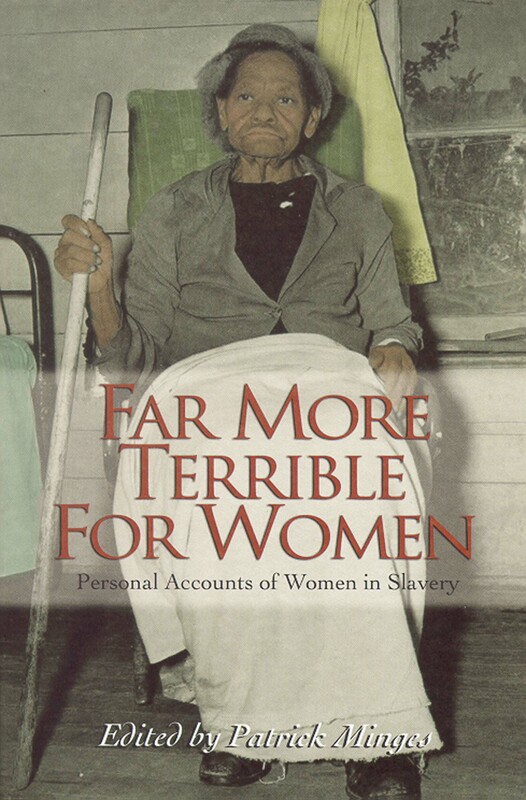 Culling the narratives collected by the WPA and others, she edited her first concise volume of slave narratives, My Folks Don’t Want Me To Talk About Slavery, providing insight into the lives of former slaves in North Carolina. Following the positive reaction she received from the public, she published two more volumes of slave narratives from South Carolina and Virginia. Her books have proved perennial bestsellers for John F. Blair, Publisher and launched our “Real Voices, Real History” series. 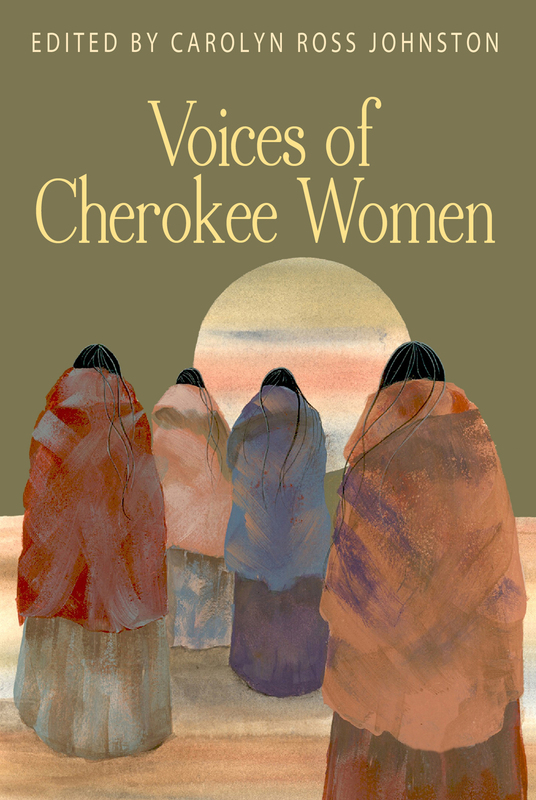 The most recent title added to this collection is Voices of Cherokee Women, edited by Carolyn Ross Johnston, published in fall 2013. 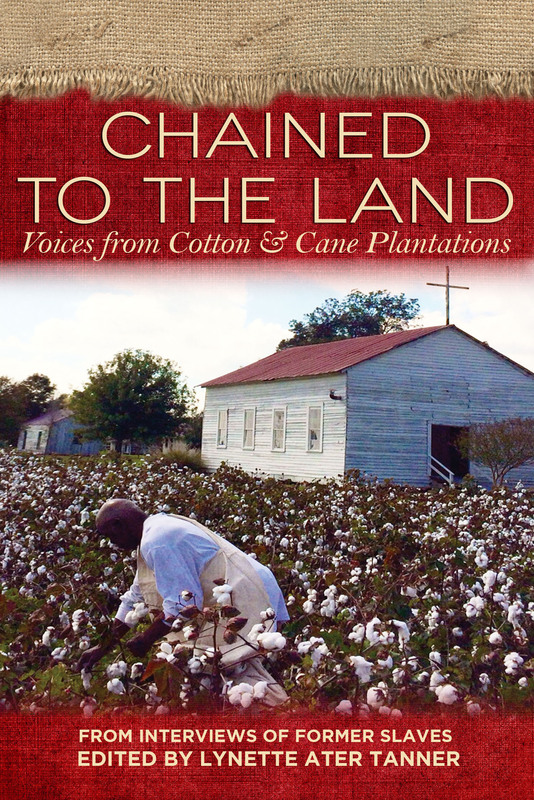 We will also be publishing Chained to the Land: Voices from Cotton & Cane Plantation, edited by Lynette Ater Tanner, in spring of 2014.